Grass Valley shows EDIUS 9 at the IBC Tradeshow in Amsterdam for the first time. It will be released in November. All customers who buy EDIUS 8 after September 1st will get a free Upgrade to EDIUS 9 (see: www.edius.net/free). As in the past (see EDIUS 8 and the many free 8.x Updates) will EDIUS 9.x bring a lot of features over a period of 2 years time. New in EDIUS 9.00: HDR and BT2020/BT2100 Colorspace as Project Setting, native HDR Editing, HDR/SDR Conversion and mixed Formats on Timeline, HDR Export and HDR Previewing via I/O Hardware. EDIUS is now Cloud Ready, so it can be used in the Cloud (this does not mean Subscription, EDIUS is still a software which you buy once and use forever). New: Floating License model available. EDIUS 8.52.2293 is now available for download. More information are always available in the Release Notes. 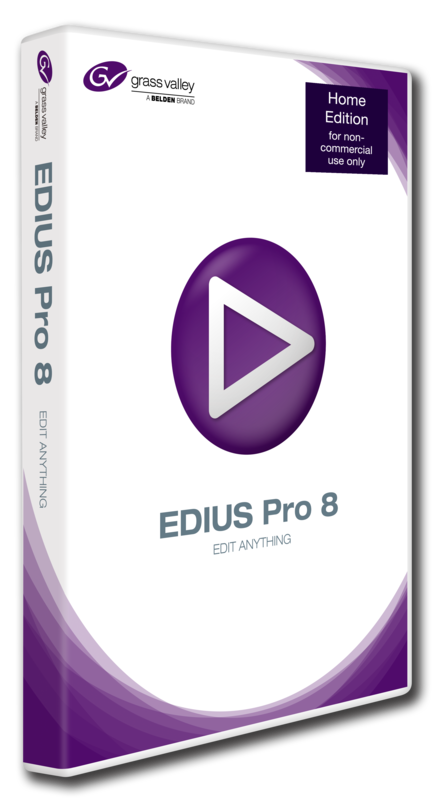 Until the end of July we offer Grass Valley EDIUS Pro 8 as Home Edition. This version only costs 209€ RRP plus applicable national VAT and is meant for private users. The Home Edition is exclusively for private users and cannot be used for commercial purposes. Furthermore, it is not possible to upgrade from this version. An upgrade to a future EDIUS version 9 will thus not be possible. Apart from that the Home Edition has exactly the same features as the regular full version of EDIUS Pro 8. In particular for consumers that have used EDIUS 1-6.5 or EDIUS Neo in the past or are still using these versions this is a very attractive offer. For further information please also see our Podcast to EDIUS Pro 8 Home Edition. EDIUS 8.51.2125 is now available for download. In the following report magic multi media CEO Michael Lehmann-Horn gives you an overview on the new features in EDIUS 8.5.